A grip-textured nylon handle not only makes the DX330 Knife easy to hold, but it also gives it incredible strength and durability. Features Coast’s Double Lock technology. When the blade is opened, the Liner-Lock automatically engages and locks the blade open, but when extremely rugged cutting is anticipated, the user can push the Double Lock switch forward. When in the forward position, the switch blocks the Liner-Lock from disengaging and thereby preventing the blade from closing on your hand. 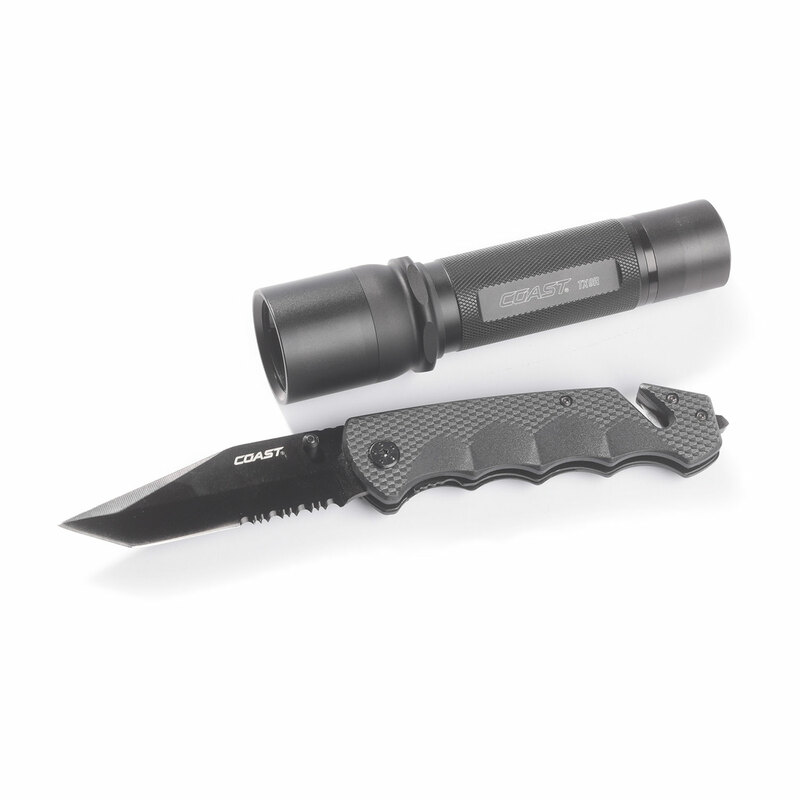 The safety detent-action is adjustable to your desired tension with a screw on the side of the knife. Easily opens with one hand using thumb studs on the blade, and you can always take it with you because of its deep-carry pocket clip. For added versatility, the DX330 comes equipped with a seat belt cutter and a glass breaker. Backed by Coast’s lifetime warranty against defects in materials and workmanship.